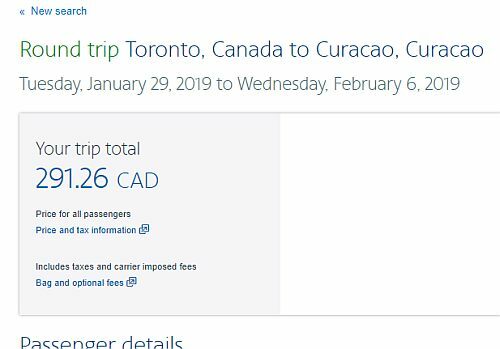 American Airlines is showing a few last minute flights from Toronto to Willemstad, Curacao for $291 CAD roundtrip including taxes. The flights have 1 stop each way, in Miami, for an hour. 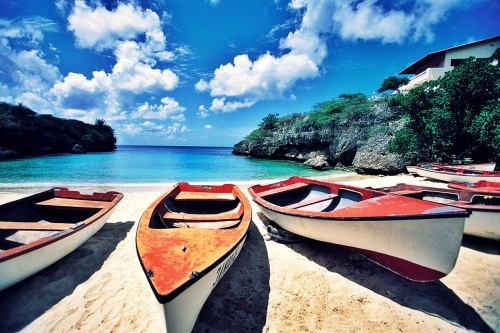 4 Responses to "Last minute: Toronto to Curacao - $291 CAD roundtrip including taxes"
Hi Chris! Thanks for this great site! Curacao has been coming up alot lately - any idea why? I'll be traveling there May Fri 3- Sun 12. Should I hold off buying a ticket in the hopes that there will be a last minute deal like these? I just want to pause and thank you for posting all these great deals on flights. So far I have booked Paris, Vancouver, Florida and latest Curacao - leaving Feb 3rd for a wonderful vacation and i want to thank you! Without your site i would have paid more per trip and I've always been able to gain the same rate you post, thus allowing me to take more trips! Keep them coming and I will be waiting to book my next vacation with your guidance. Thanks Margaret, that is definitely appreciated, and I'm glad it's helped you out. 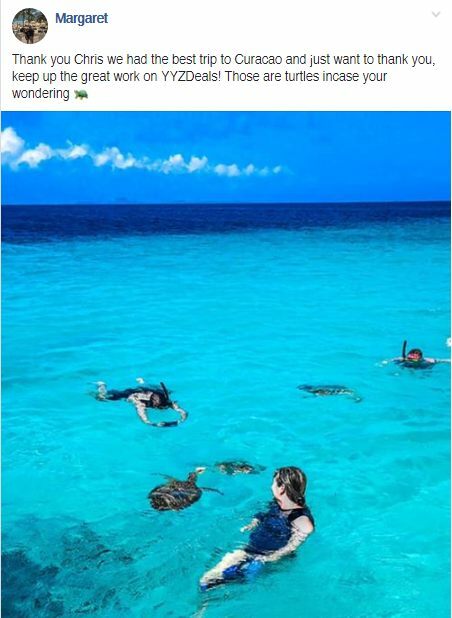 Have a great time in Curacao!